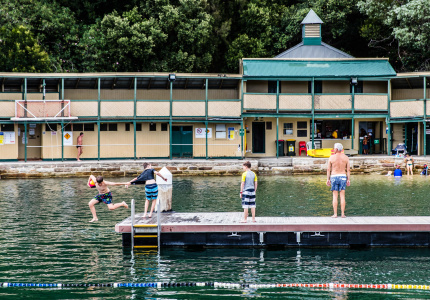 For over 20 years, Catalina, and its view, has been drawing the glitterati to Rose Bay. 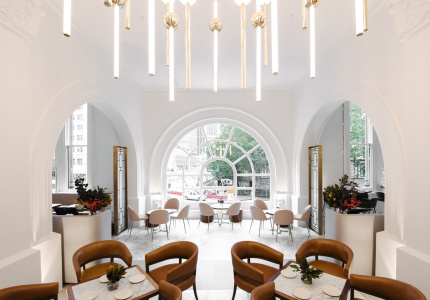 At Catalina, everything sparkles: the harbour, the clientele, the beautifully presented food and the champagne that fills nearly every glass in the room. 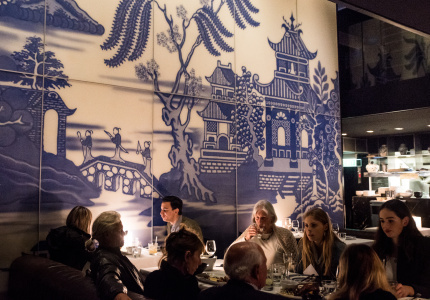 For over 20 years, a long lunch at the Rose Bay fixture has been one of Sydney’s defining experiences for well-heeled locals and international visitors alike. 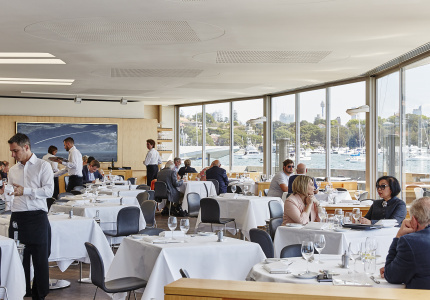 Celebrity chefs and gastronomical fads come and go, but one thing remaining unchanged in Sydney’s restaurant world is Catalina’s spectacular view. “We’re riding a real crest at the moment, and that’s been building for the last three or four years,” says Judy McMahon, who owns Catalina with her husband Michael. Michael and Judy were already veterans of Sydney’s dining scene when Catalina opened in the early 1990s. The pair first worked together under the colourful Len Evans at Bulletin Place, before moving to Berowra Waters Inn in 1978 to work with Gay and Tony Bilson. 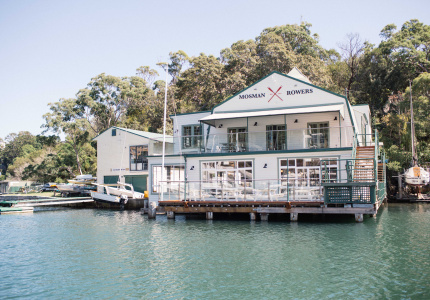 The ’80s saw the couple open their first restaurant, Barrenjoey House, at Palm Beach, with Neil Perry working in the kitchen. Perry’s in Paddington soon followed. In 1988 the McMahons returned to work for the Bilsons, running their restaurant at Circular Quay’s Overseas Passenger Terminal. By 1994, the McMahons were ready to go out on their own again. The site they settled on was the former home of glamorous nightclub Caprice, opened by Jim Bendroit in 1957 but by the 90s a dilapidated empty space. Working with the late architect Leigh Prentice, they gutted the building and rebuilt it to a classic design. The plan was to serve food that was simple and affordable, but it was an approach met with criticism. “The expectation was that we would do fine dining,” recalls Judy. 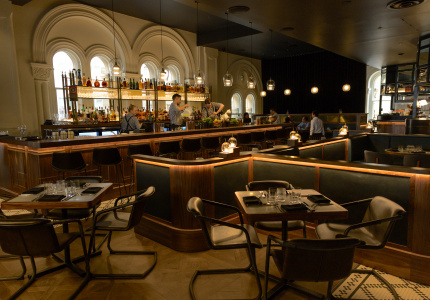 An accessible menu was not what the critics or the public expected. “So we changed,” she says. 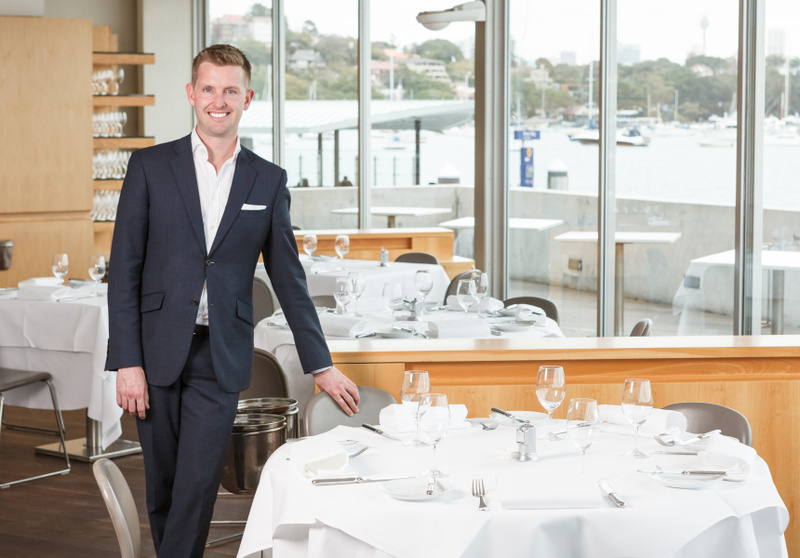 In that time, few changes have been made at the Rose Bay restaurant. If anything, the waterfront view has become more beautiful as water quality in the harbour has improved. Diners now often spot whales, dolphins and the occasional seal from the restaurant’s balcony. “It really is the most beautiful bay in Sydney,” says Michael. The minimalist interior has been maintained, serving as a blank canvas for the main event: the view, and the food. The walls remained bare until only a few years ago, when Michael softened his no-art policy for a large, harbour-blue painting by Tim Storrier, a customer turned friend. 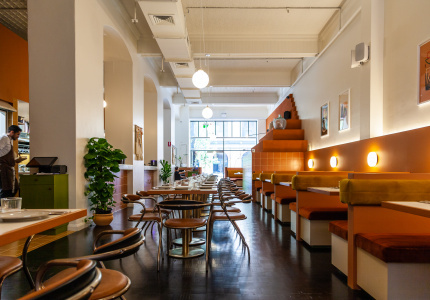 The menu’s early “Mod Oz” influence, so prominent in Australian restaurants in the ’90s, has faded, replaced with produce-driven fare inspired by Mediterranean cuisine. Catalina’s signature dish, a roasted suckling pig served with spicy tomato chutney and wholegrain mustard jus, has its origins in a meal Michael shared with his son Paul at renowned Spanish restaurant Etxebarri. Oysters, sourced from a lease on Nambucca River once owned by the family, occupy a special place on the menu. “The Catalina kitchen sends out upwards of 150 dozen Sydney Rock oysters a week, each shucked as the orders come in and served either natural or grilled with lemon and shallot sabayon and spicy breadcrumbs. These days the food “is much more accomplished,” says Judy. Part of Catalina’s durability stems from that fact it has never been what Michael calls a “chef restaurant” (head chef Mark Axisa has worked at Catalina for 14 years), thus avoiding the perils that come with having a celebrity in the kitchen. 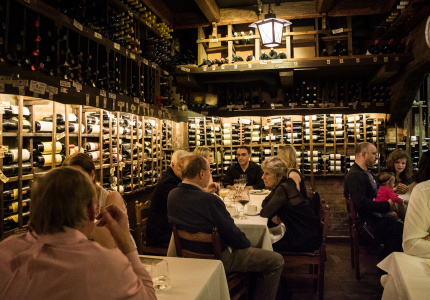 “We still work very hard on the food and we work hard on the wine list,” says Michael. The McMahons remain coy when it comes to name-dropping the rich and famous who have enjoyed a long lunch at Catalina, but a quick search online uncovers names as luminous and varied as Beyonce and Jay-Z, Madeline Albright and Bono. 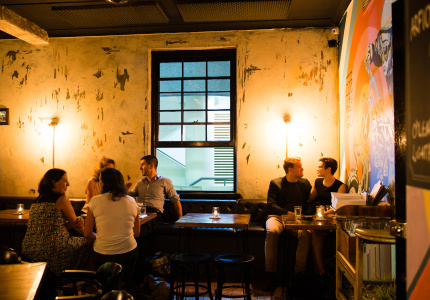 While Catalina has a reputation as a favourite haunt of Sydney’s silvertails, it’s the regulars who are the true VIPs. “Most of our long term customers are actually very good friends. We get invited to their kids’ weddings,” says Michael. Now, he says, their clientele’s third generation is having their christenings at Catalina. Over the years, family celebrations are among their standout memories. Catalina has hosted numerous McMahon family birthdays and weddings, including the lavish cocktail party that marked daughter Kate’s marriage to Brett Dalgairns in November 2014. The couple was married in the park in front of the restaurant, and Catalina regulars were among the 400 guests. There have been difficulties. When Michael suffered a heart attack seven years ago, Judy took a more active role at the restaurant, one that she has maintained since. “I had to really learn how to [run the business] because he wasn’t back on deck for quite a while. Once you get a taste of that, it’s hard to let go,” she says. 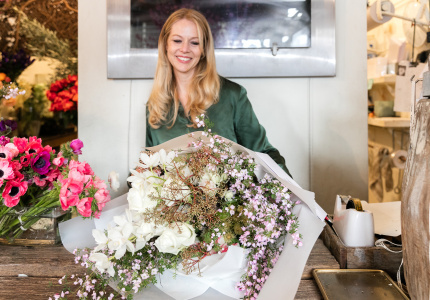 Like any business, Catalina has experienced ups and downs. 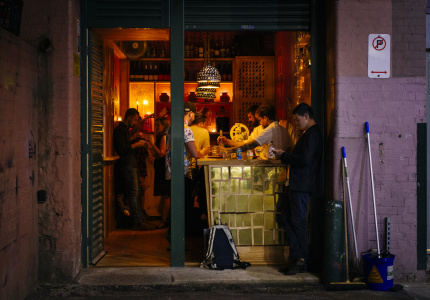 Trade traditionally slowed during winter, and often a new restaurant would lure customers away. 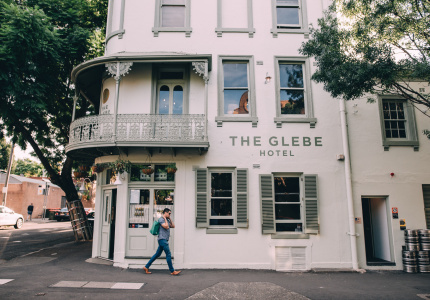 “We had a quiet period when Icebergs first opened, and then when the wharf opened in Woolloomoolloo it became flavour of the month,” says Michael. In recent years however, the restaurant has proved immune to seasonal lulls and competition, with business remaining brisk year round. What’s the secret to Catalina’s success? It’s simple. “You give people what they want,” says Michael, who has no plans to retire any time soon. “Retirement is not doing something you do in this business,” he says. 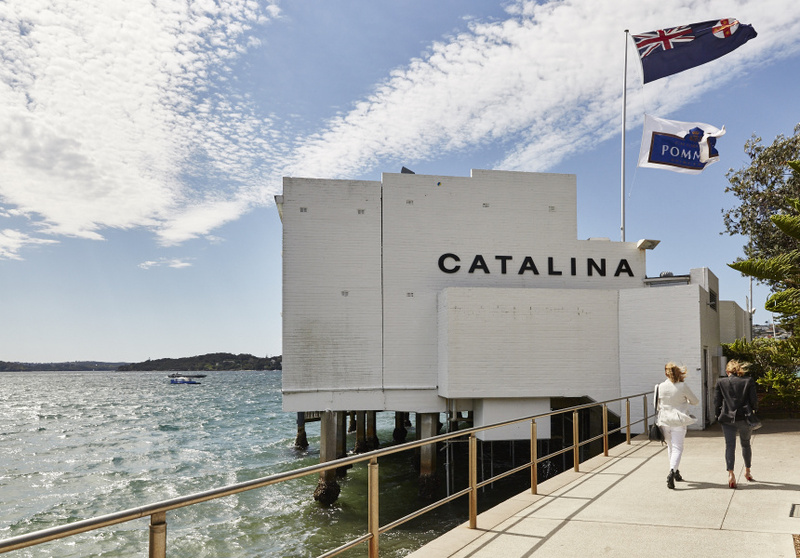 With a new generation on board, there’s every chance Sydneysiders will be enjoying long lunches at Catalina for another 20 years. 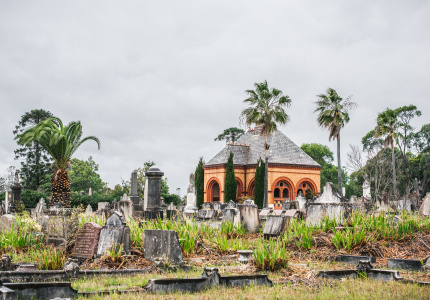 Sydney Classics is a series in which we tell the stories of some of Sydney's most well-known (and under-the-radar) institutions. These places have stood the test of time and without a doubt make this city what it is at its heart. Updated on October 6, 2017.